PORT 88: Ready, Set, SALE! The LiST Group in partnership with Immaculate Conception Academy Alumnae Association (ICAAA), brings you the BIGGEST lifestyle bazaar that will carry leading commercial and online brands. 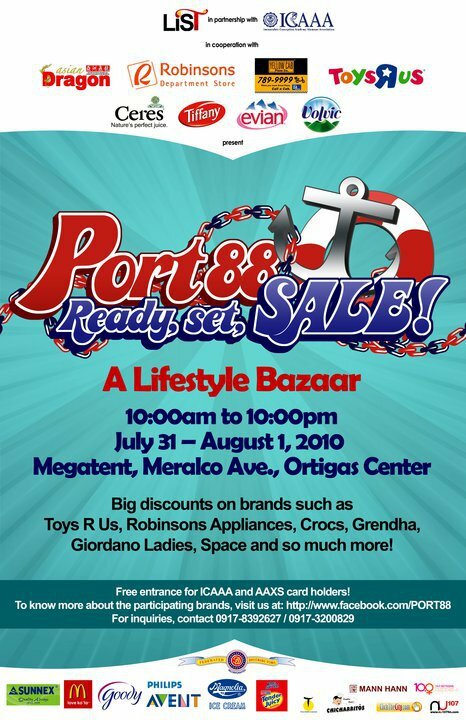 The sale is set on July 31 to August 1, 2010 from 10:00am-10:00pm at Megatent Events Venue along Meralco Avenue in Ortigas. I'll be there manning our booth. Hope to see you guys there!! !